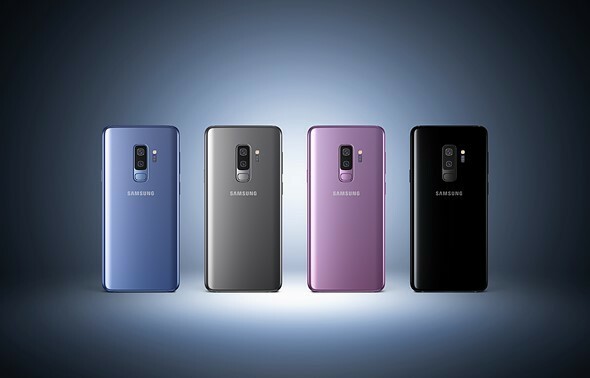 Samsung has unveiled its new Galaxy S series flagship phones, the Galaxy S9 and Galaxy S9+, at the Mobile World Congress in Barcelona today and the new devices' cameras deliver what Samsung's teaser videos had been promising: Variable aperture, super-slow-motion and AR emojis. The main camera features an aperture that can switch between F1.5 for low light shooting and F2.4 in brighter light. The new aperture system is coupled with a 12MP "Super Speed" sensor that features an integrated DRAM module for more processing power when using computational imaging to reduce noise and increase image detail. The additional processing power also comes in handy for the new super-slow-motion mode. Like recent high-end Sony Xperia models, the Galaxy S9 devices can record HD video at 960 frames per second for 0.2 seconds. That translates into 6 seconds playback time at 30 frames per second. Slow-motion videos can be converted into gifs or set as background videos on the home screen. The new AR Emoji function allows you to create and personalize emojis based on your own face, using the front camera. In a second step emojis can be animated using facial expressions. You can save up to 18 AR emojis and share them with users of any smartphone, not just Samsung models. New features aside, the camera specs haven't changed too much compared to existing models. The main camera features optical image stabilization and a Dual-Pixel AF. The Galaxy S9+ comes with a secondary tele-lens, similar to what we've seen on the Galaxy Note 8, allowing for better-quality zooming and a bokeh mode. The longer lens comes with optical image stabilization and an F2.4 aperture. The front camera on both models combines an 8MP pixel count with a fast F1.7 aperture. Camera aside, the main difference between the two new models is display size. The Galaxy S9 comes with a 5.77" AMOLED display, the S9+ equivalent is a little larger at 6.22". Both screens offer WQHD resolution. Both models come with a microSD card slot and a headphone jack and are powered by Samsung's Exynos 9 Series 9810 Octa Core chipset. 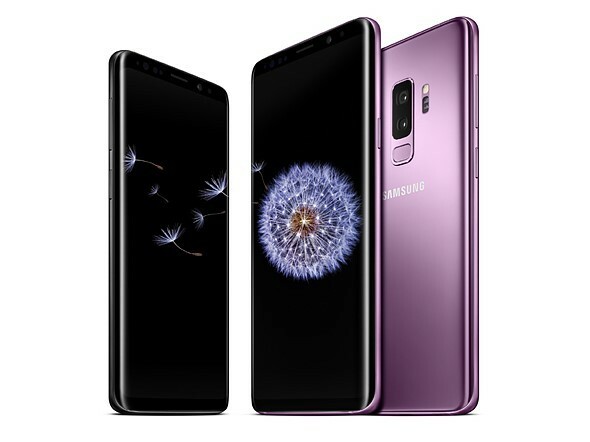 In the Euro-zone the Galaxy S9 with 64GB of storage will be available from March for 850 Euros (approximately USD 1045). The S9+ is 100 Euros (approximately USD 120)more. No details on pricing in other regions have been released yet. Samsung's new smartphone sensors can shoot 480fps in Full HDSamsung has just announced a new mobile image sensor that may just reveal what's in store for the rumored Galaxy S9 smartphone—specifically in the slow-motion capture department. Smartphone front cameras might soon be placed underneath the displayWith smartphone displays getting larger and moving to an 18:9 (or 2:1 if you prefer) aspect ratio and display bezels shrinking at the same time, there is hardly any space left at the front of new devices for physical controls or other components.